Patty Young of Modkid just released her mini Jewelry Roll pattern in PDF form. I had the privilege of sewing one up and styling a few other ways to use the jewelry roll. 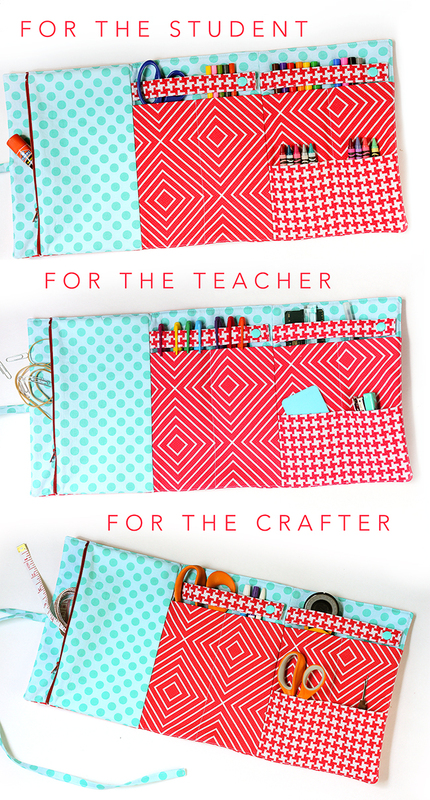 My personal favorites, for the teacher or student, make the perfect back to school gifts! If you want to personalize your teacher gift with their favorite colors, don’t forget the teacher’s favorite things printable. This is seriously a great beginner pattern!! It’s a quick sew and gives a great intro to installing a zipper. I’m thinking it would be a great pattern to teach a group to sew.